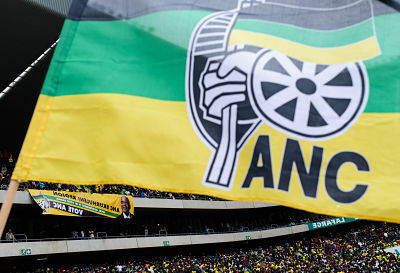 The epic struggle between Nkosazana Dlamini-Zuma and current Deputy President Cyril Ramaphosa for the leadership – some say the soul – of the governing African National Congress will be decided between 16 and 20 December in the Nasrec stadium outside Soweto. Sporting analogies cannot capture the ferocity of the contest, as both sides attract charges of using bribery and threats to sway the 5,240 delegates to their side. The numbers stubbornly refuse to show any clear favourite. After this year’s cliff-hangers in Kenya, South Africa and Zimbabwe, some may have expected a brief respite from political drama in 2018. No chance. At least eight countries are due to hold national elections next year. The most strongly contested elections will be in Madagascar, Sierra Leone and Zimbabwe. Of the three, Sierra Leone is the least predictable: Samura Kamara, presidential candidate for the governing All People’s Congress Party, will struggle to defend his party’s record. His main opponent is former military leader Julius Maada Bio, standing on the Sierra Leone People’s Party ticket, and the impressive ex-United Nations official Kandeh Yumkella. In Madagascar, two veteran political gladiators – yoghurt king Marc Ravalomanana and former DJ Andry Rajoelina – will face off against the incumbent Hery Rajaonarimampianina. Civic activists and oppositionists are hoping for freer and fairer elections in Zimbabwe after President Robert Mugabe’s forced exit last month. Successor Emmerson Mnangagwa is sending mixed signals: after promising a new democratic era, he is bringing his military allies centre-stage. However, the opposition is betting that the ruling party is less likely to bludgeon its foes out of the election. Even the old methods of vote fixing should prove more difficult under the new electoral rules. Elsewhere, elections in Cameroon, Egypt, Mali, South Sudan all look set to return the incumbent to power.